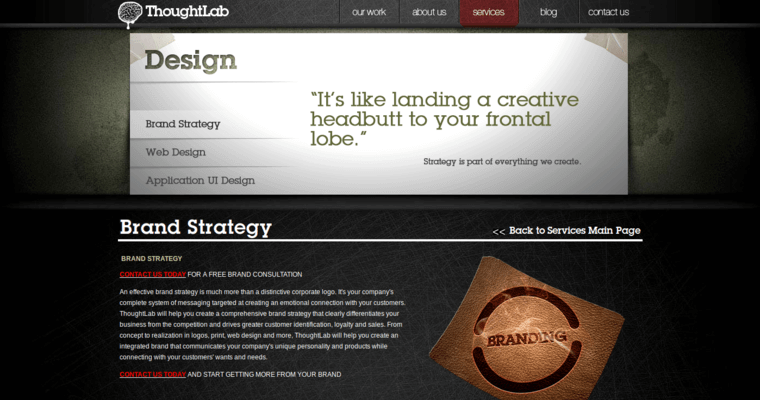 Thought Lab is a team of professional web designers who thrive on making the business owner's brand increasingly powerful in the online realm. They accomplish this goal by creating product pages that are enhanced for critical factors such as usability and aesthetic appeal, thereby ensuring that prospective clients will want to return to the site frequently. 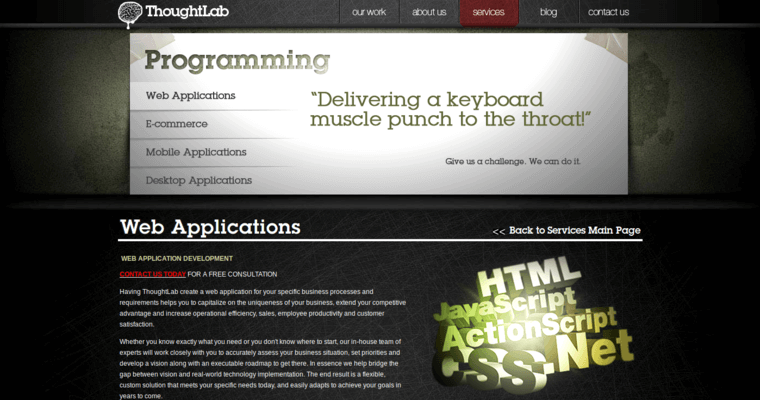 The Thought Lab representatives also deploy responsive web design techniques to ensure that the site is accessible across all platforms, thereby ensuring that mobile device users will be able to view all product pages quickly and correctly. 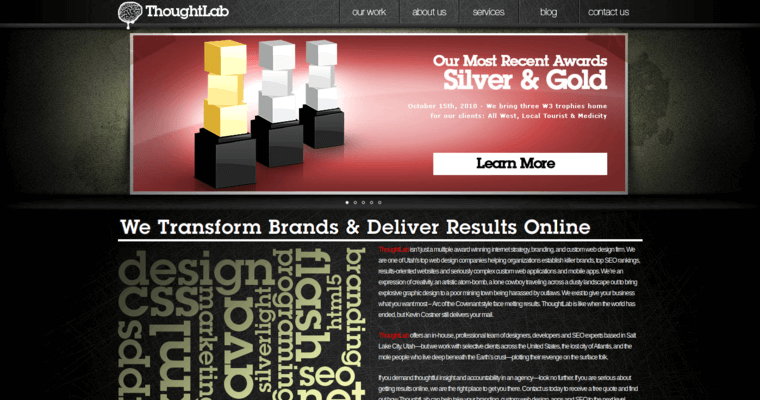 Choose Thought Lab to attain the brand-building online marketing services that will advance the interests of your company.